UNYA is proud to be at Gathering Our Voices this year! Come and see our team at the Career and Education Fair, on Wednesday, March 20th, and Thursday, March 21st, from 8:30 am to 5:30 pm. 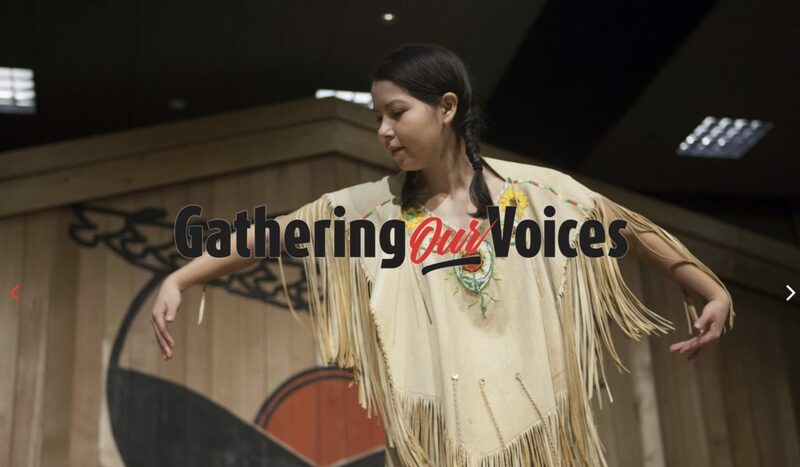 From March 19-22, 2019, Gathering Our Voices brings together more than 1000 Indigenous youth delegates as well as chaperones, Elders, speakers, guests, entertainment, staff and volunteers. This year the conference takes place on the traditional territories of the Hupacasath and Tseshaht First Nations in Port Alberni, BC. Indigenous youth from all across Canada will be coming together to explore, to learn, and to engage with culture among peers. Fill out our survey at GOV for a chance to win a pair of Beats Headphones! We’ll have a table set up at the GOV Career and Eduation Fair (at the Alberni District Secondary School), where you can talk to our staff, learn about the programs at UNYA, and ask any questions you may have! In addition to the usual stuff, we’ll have some fun activities at our table! Fill out our GOV survey for a chance to win a brand new pair of BEATS headphones. Visit our table at the Career and Education Fair for a link to the survey. Everyone gets a chance to spin our prize wheel to get some awesome UNYA swag (sunglasses, pop-sockets, stress balls, lip chap, bracelets, and more), t-shirts, and candy bags. Pick up a medicine tie at our table, and enter our draw to win an Emergency Smudge Kit! Our Emergency Smudge Kits are stocked with a small abalone shell, a feather, medicines (cedar, sage, and sweetgrass), matches, and a how-to guide. Perfect for stashing in your bag to take with you wherever you go. We’ll be drawing for Emergency Smudge Kits twice a day, on both Wednesday and Thursday. Check out our Instagram stories for draw updates! We’ll be running workshops on Wednesday, on how to make Indigenous herbal bath teas. Bath teas promote self-care, but also mental, emotional, spiritual, and physical care (such as skin care and headaches). You’ll learn about bath teas, and all about the medicines we will be using, how they are used. You’ll take home your own tea to use or give as a gift!